In the 21st Century, it’s hard to get by without a laptop in school; many high schools provide students with portable computers to take home for the remainder of the year. Naturally, rural parts of California don’t have the resources to afford such luxuries. iFoster, a Truckee, Calif.-based nonprofit, is helping kids in foster care closing glaring digital gaps in rural counties. 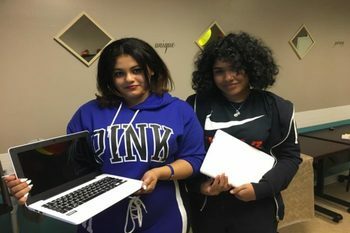 Thanks to a $400,000 donation from the Rural County Representatives of California (RCRC) and the National Homebuyers Fund (NHF), iFoster can provide laptops to 1,100 foster youth, ages 16 to 21. “I think what they hope to see is just a boost in these kids’ next steps, whether that be higher education, vocational education or job placement, and then the downstream economic benefit that it will bring to their communities,” said Justin Caporusso, vice president of external affairs for RCRC. Are you considering foster care or adoption? If so, please contact Triad Family Services. The National Testing Agency (NTA) will declare the NEET Result 2019 on 5th June 2019. The NEET Result will be declared on the official website ntaneet.nic.in. What a great use of resources. I met a drywall contractor in aurora who would donate to the same cause, he was the salt of the earth. Thanks for posting! Laptop is become common part of our lives and young generation want to keep it for their personal usages. For writing of best essay this is superiorpapers legit service from people get perfect results without any problem. That is such a great deed you've done here, and I appreciate it a lot. Now, you need to visit this site, and help out the people who are working there. That would make me one of the happiest men in the world.